Help Us prevent our Parish Church from being demolished and our parish community from being merged with another across the City. We need your help and fast. Within one day notice to close the locks of the Church were changed. We need funding to quickly organize and power our fight to FIX the CHURCH and SAVE the PARISH. 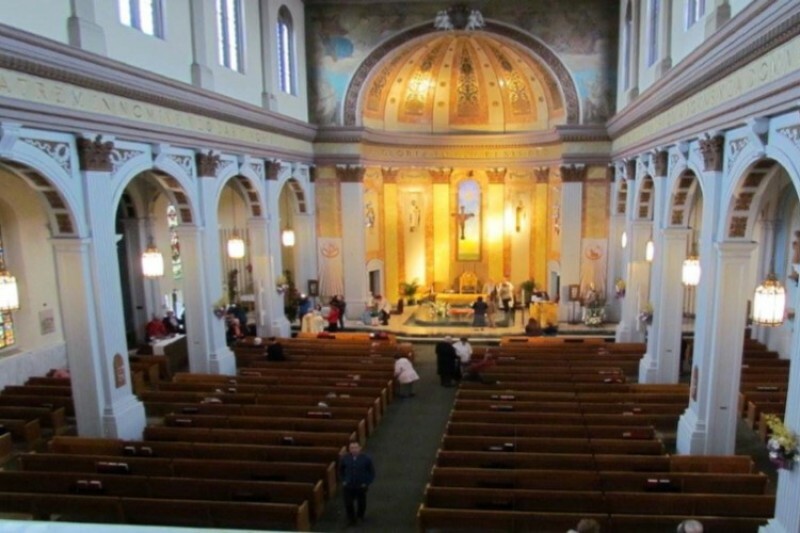 We are a Roman Catholic Parish located in Worcester Massachusetts on Mulbury Street. Our Parish is over 100 years old. For generations we have been the epicenter for Community, Youth, Italian American Culture, and Religious activities. At Our Lady of Mount Carmel you will find well attended masses, and exciting catechism programming, CCD in action, Italian Cultural education programs, Language classes, Book clubs, Senior Clubs and Societies, Art Gallery, and coffee shop. We are an Anchor to the Restaurant District and a gateway to a developing downtown in the second largest city in New England. Our Church building needs structural work from damages caused by a State Highway that was imposed too close to our building. After many years this expedited the wear and tear upon the building. Our Pastor and Bishop have closed the Church with less than 24 hours notice and they want to merge our parish with another on the other side of our City. We parishioners are dedicated to preserving both the Church and the Parish. Today we are working to save it and restore it to it’s former beauty. Join us as we “FIX THE CHURCH AND SAVE THE PARISH” we have formed a SOCIETY FOR THE PRESERVATION OF OUR LADY OF MOUNT CARMEL. We sincerely hope you will join us. We can not do this without YOUR help. We are well organized and now moving forward with a fund raising campaign to accomplish our goal. Will you be a Mount Carmel Angel and show us your support? Your help and support is needed and appreciated. Thanks for your generous support. We have a way to go. Keep us in mind. Let's work hard to open the Church for Christmas. Visit http://www.preserveourladyofmountcarmel.org for the latest updates and more. Thank you for your generous support. We have a way to go. visit http://www.preserveourladyofmountcarmel.org for the latest updates and more. WHAT GOES WITH AMERICA AND WITH OUR ITALIAN -AMERICAN CITIZENRY,THIS IS THE WORST EXAMPLE OF THE LACK OF LOVE FOR THE ITALIAN IMMIGRANTS WHO LEFT ITALY AND FAMILY TIES TO COME TO AMERICA AND MAKE IT THE GREATEST COUNTRY ON EARTH.JUST A BUCK IS ALL WE ARE ASKING FOR. GOD BLESS GAIL WOLF AND ALL THAT HAVE CONTRIBUTED TO MAKE OUR LADY OF MT CARMEL GREAT AGAIN. Why would we have been so powerless to have prevented the State from dishonoring our Church .Rt 495 from the Bourne Bridge had to make a very wide circle around a farm because the farm owner was powerful enough to have her demand TO DO SO RESPECTED. WHY DID THE DIOCESE CLOSE A SELF SUSTAINING CHURCH????? WHEN YOU DESTROY A BUILDING -YOU DESTROY THE SPIRIT THAT CREATED THE BUILDING. BUT WHAT CAN A PASTOR DO WHEN THE DIOCESE HAS BEEN HURT BY THE DAMAGE DONE BY THE AMERICAN LEGAL PROFESSION HELPING TO MAKE MANY PARISHIONERS -MILLIONAIRES AT THE DIOCESE EXPENSE. I admire the local community fighting to preserve what is meaningful and historic to them, and I love the classic Italian look to the church. Barbara and Florence, Keep up the great job that you are doing in saving this beautiful and historic part of our city!! Praying for Mount Carmel and all its members! Florence and Barbara Lucci are my wonderful friends and I support their ongoing efforts to save Our Lady of Mount Carmel Church. God bless you ladies and all who are involved in this important endeavor. I pray this beautiful Church will be saved.